Man keeps returning to the same places he's already been trespassed in Vero Beach. 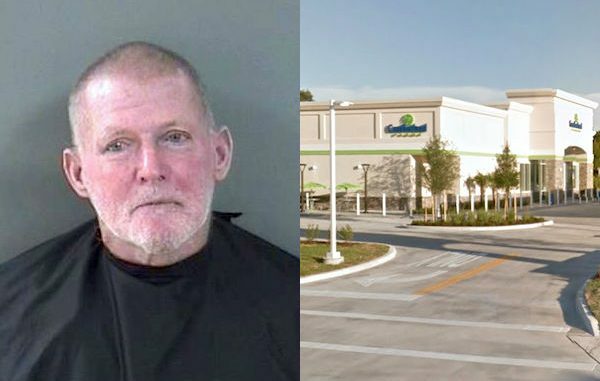 VERO BEACH – A 63-year-old man has been arrested again at the Cumberland Farms for returning to the same store he’s already trespassed in Vero Beach. Ralph Edward Boardman is finding it difficult to go anywhere these days, after several stores in Vero Beach trespassed him for on reason or another. The Cumberland Farms don’t want him, Boardman is already banned at the Sunoco Gas Station, and there are other trespasses at a home he keeps visiting. Boardman has been arrested three times at the Cumberland Farms. He’s also been arrested twice at the Sunoco Gas Station. Since April 2016, he’s been arrested 10 times, mostly for trespassing at places he’s not allowed to go. Last night, the Vero Beach Police Department received a call from Cumberland Farms about Boardman. Officers arrived and found him drinking a newly opened Ice House Edge 24oz beer, which was about half empty. “The trick is to wait till shift change and go back in when the new girls are working so that they don’t know who you are,” Boardman told officers. However, that trick didn’t work out too well last night because the new girls called the police about the trespassing. Boardman was arrested and transported to the Indian River County Jail.